in photoshop, '' is too far from main shortcut and 'cv' is also has to be hit multiple times until I get the size I want. I really like kritas brush size shortcut. shift + pen drag. Is there anyway that you can change it in photoshop? I added an image. that setting is almost what I was looking for. 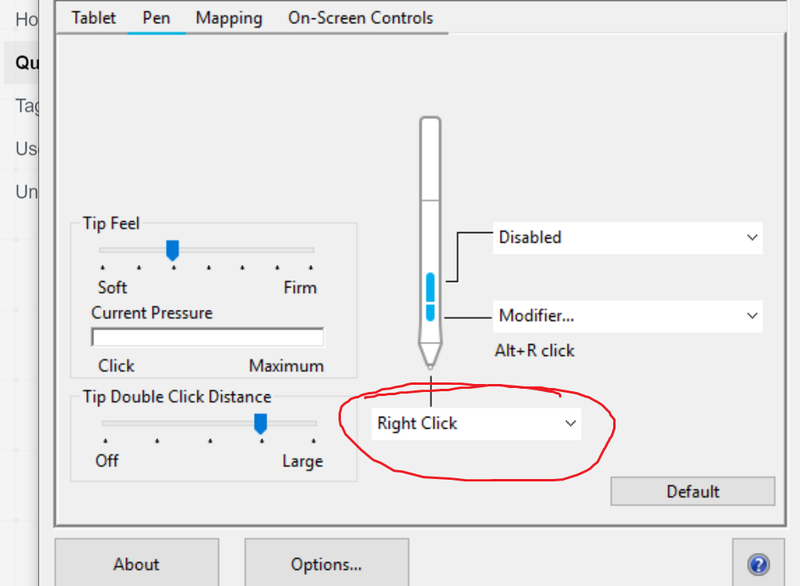 you hit alt and drag your pen on tablet, it easily changes brush size but the problem is that you can't draw since the tip is set to right click. krita automatically holds it as click until I hit shift button with default set up. Photoshop has a nifty dynamic brush size controller built in. MacOS: Control+Option and then click-drag. You'll see a red circle, that's the brush. maybe Alt + Right-click + Left-click + drag all at once. 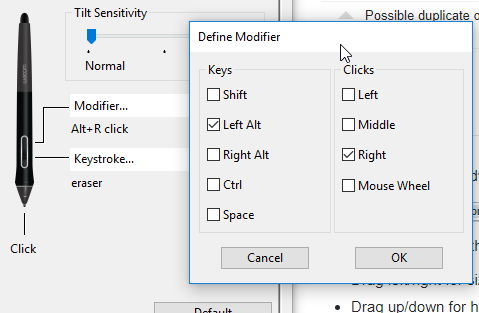 On Windows you can set Modifier... for Alt+RightClick, holding the set button will increase/decrease brush size when moving pen horizontally and hardness or opacity (set in Tools Preferences) when moving vertically. On a Mac it worked the same until one of the drivers update about a year ago. Now you have to click while holding the modifier button :( Wrote to Wacom support about this several times, no reaction as always. Not the answer you're looking for? Browse other questions tagged adobe-photoshop brush shortcuts or ask your own question. Adjust Brush Opacity drag hotkey/shortcut? Why do [ and ] shortcuts to increase brush size not work consistently? 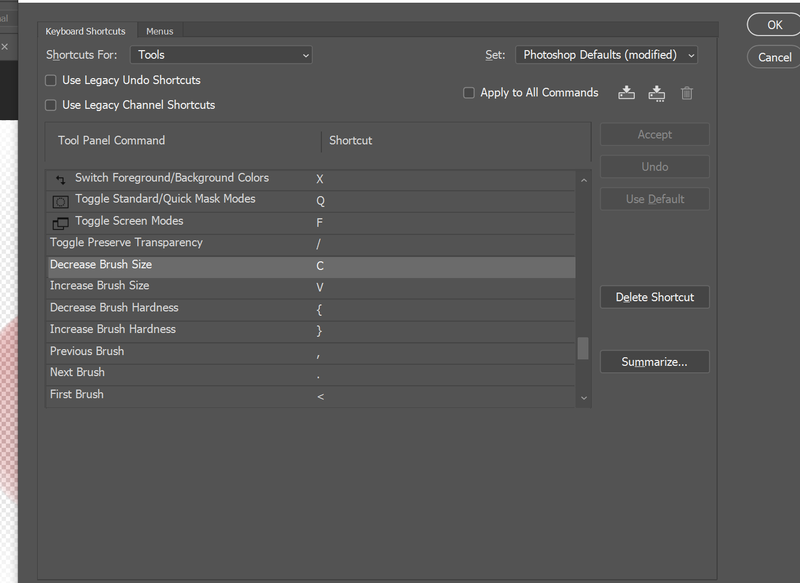 Is there a way to change the Photoshop Alt + Right-click-drag brush size hotkey?